Cognitive Explorers is part of a neuroscience research that aims at detecting the neuro-physiological signs related to complex emotions using Virtual Reality and biofeedback sensors. In 2017 I concluded my master thesis in "Arts and Neurosciences" at the Universidade Federal do Rio de Janeiro with this project developed in conjunction with professor José Otávio and the Limbisseen lab team. The VR environment was modeled in Maya and deployed in Unity. 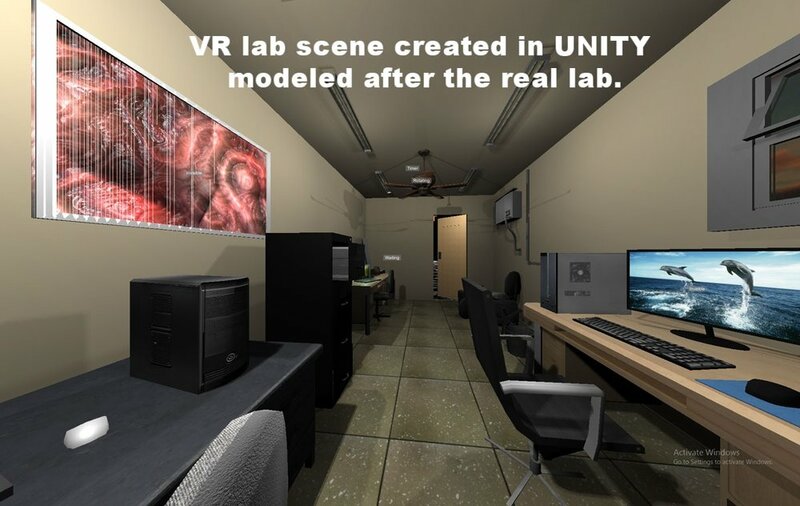 In it, the subject start in an environment modeled after the real lab where he is located. Throughout the experience, the subject travels through increasingly bizarre environments. This is deliberate, in order to generate anxious, but still ambiguous emotional reactions from the users. Jump scares where avoided. After the experience the subjects where interviewed and the data was analyzed. 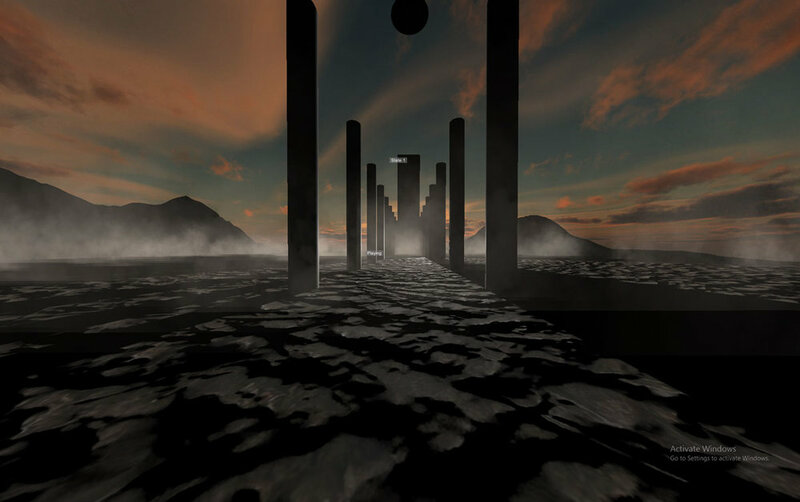 The final conclusions stated that, although some events inside virtual reality generated similar reactions from most subjects, the follow up interviews detected that a wide range of emotional responses could be generated by the same VR environment. The use of VR as a tool inside the lab made it possible to closely follow the subjects reactions inside it's digital controlled environment. As a VR developer, I concluded that this medium is capable of deep, nuanced experiences, richer and with more nuance than most experiences commonly used inside laboratorial environments. "This work explores new methodologies for the use of Virtual Reality equipment in conjunction with sensors that monitor the peripheral physiological functions, with the goal of creating a better understanding of the role of our emotional states and intuition in the cognitive construction of reality. It starts from the idea that we are explorers of our cognitive processes and, from this search, the universe we live in is created. The advent of Virtual Reality is but another chapter in the use of technology as a prosthetics, dictating how we move our physical and embodied minds through the intersections between realities created by our sense of presence. Some enthusiasts of these new sensory tools become adepts of cyborgism, surgically implanting electronic prosthesis in order to create new senses, new panoramas. After meeting one of these exploring cyborgs, Cognitive Explorers is born: an experiment seeking to understand the immersion processes of virtual reality through the measurement of emotional and physiological states. 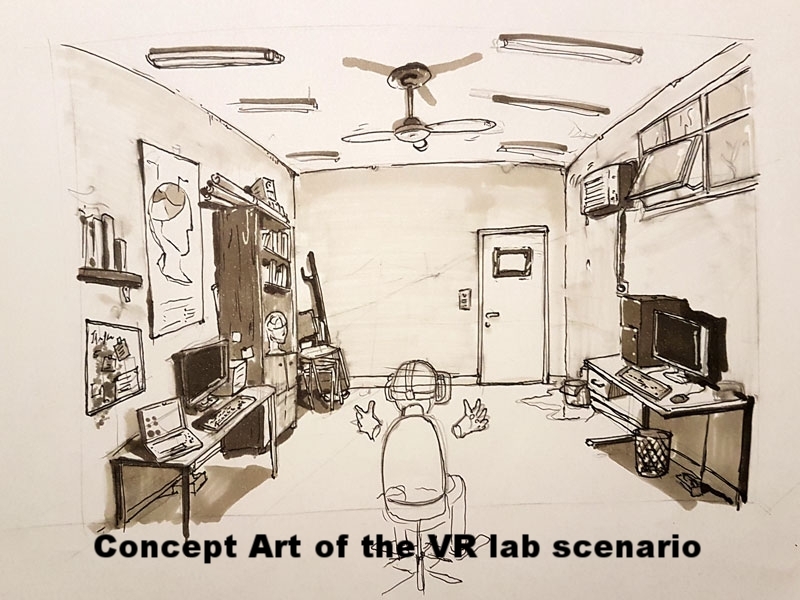 The current work introduces the history of Virtual Reality and its technologies, as well as presenting best practices in the use of Virtual Reality visors and the creation of virtual environments for laboratory use. During Cognitive Explorers, two Empatica E4 sensors were used to monitor the emotional and physiological states of 22 volunteers while they experienced a virtual environment create exclusively for this. The data analysis show that there is a great correlational potential between the emotional states and the experiences lived by the volunteers. Virtual moments created to generate stress or contemplation are identifiable by reading graphs of cardiological, electrodermal and temperature arousal. 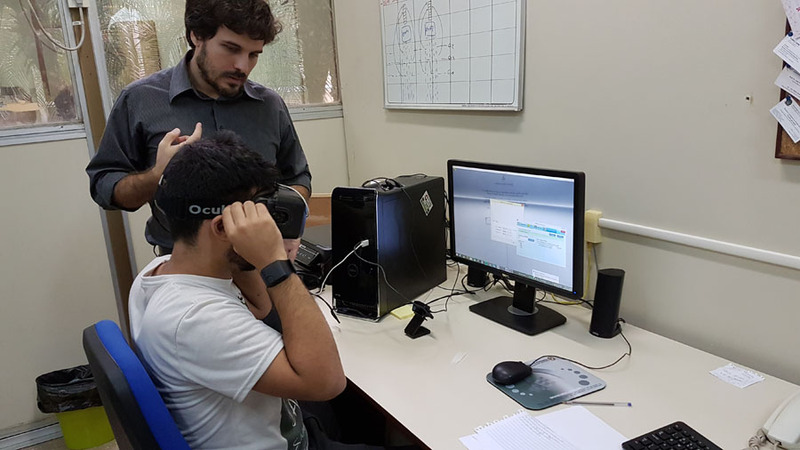 The immersion allowed by accessible Virtual Reality technologies made this pilot project possible and understanding the methodologies behind its use opens the way to new advances in cognition and the neurosciences." Newer PostAdam Curtis Documentaries on how systems shaped and distorted our world.